The radio platform is aimed at provide information to farmers on a host of subjects, including climate change and environment issues, agrarian crisis and alerts, tips on agricultural aspects. The first farm radio of the state is expected to start broadcast from Kuttanad in Alappuzha district from next month. THIRUVANANTHAPURAM: Amidst concerns about the shrinking agricultural space and the distancing of people from farming, the Kerala government is getting ready to start a 'community radio' to update them of the latest developments in the sector. Significantly, it will be the first such community radio to get connected with the farming community under a government initiative in the country. The first farm radio of the state is expected to start broadcast from Kuttanad in Alappuzha district, once popularly known as the 'rice bowl of Kerala', from next month, marking the second year anniversary celebrations of the LDF government. Famed for its vast expanse of paddy cultivation, Kuttanad is one of the few places in the world where farming is carried out below sea level. The radio platform is envisaged to provide information to farmers on a host of subjects, including climate change and environment issues, agrarian crisis and alerts, tips and information on various aspects of agriculture. The Left government has plans to start similar community radios in places recognised as 'special agricultural zones' after evaluating the success of the 'Kuttanad farm radio', state Agricultural Minister V S Sunil Kumar told PTI. Giving details of the programme, he said the community radio would be launched under the Farm Information Bureau (FIB) of the state Agriculture Department. "We are considering this as a platform to interact directly with farmers and get connected with them. It will be the first such community radio for farmers in the country under the government initiative," Kumar said. The 'kuttanad farm radio' is envisaged to serve farmers in a 20 square kilometre radius in Kuttanad region, he said. Stating that the procedures for the launch of the radio is progressing, the minister said the state government itself has applied for the sanction and an approval for the same is expected soon from the Information and Broadcasting Ministry. "The Centre recently sought a clarification on the FIB. They wanted to know whether the agency is a state government undertaking or not. We have furnished the reply and are now waiting for the final nod," he said. "We expect that the broadcast can be started by May-June," the minister added. Kumar said professionals would be hired to manage the radio programmes. Experts of Agricultural Departments would provide technical inputs. Seeking to reach out to more people and create awareness among them on farming, the agricultural department is also taking steps to bring out more farming related programmes through state-run broadcasters like Doordarshan and All India Radio, he added. Though Kerala was once known for its vast paddy fields and food crops, the recent trend of people converting the traditional farm lands for commercial purposes has resulted in decrease in agriculture production. Falling price of agricultural products, high input cost and crop loss due to climate change were some of the reasons that forced traditional farmers to keep away from farming. 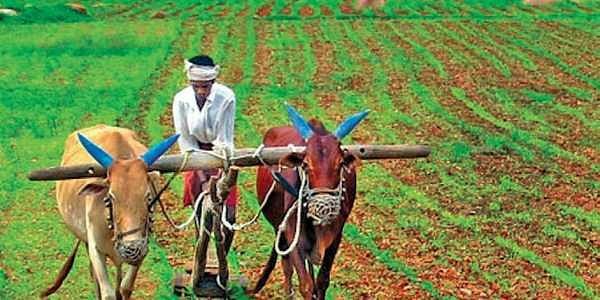 The community radio initiative is one among various programmes launched by the CPI(M)-led LDF government to revive the agriculture sector and attract more people to farming. The total cropped area of Kerala has been declining consistently, from 30 lakh hectares in 2000 to 25. 84 lakh hectares in 2016-17, according to the state Economic Review 2017. The land available for cultivation but not being cultivated is on the rise, signalling the tendency of people to keep land fallow for various reasons, it said.